Cornelius A. Thiels, D.O., M.B.A., from the Mayo Clinic in Rochester, Minn., and colleagues collected data on patient demographics, case characteristics, and outcomes from an online legal research database for malpractice cases involving surgical interns, residents, or fellows. 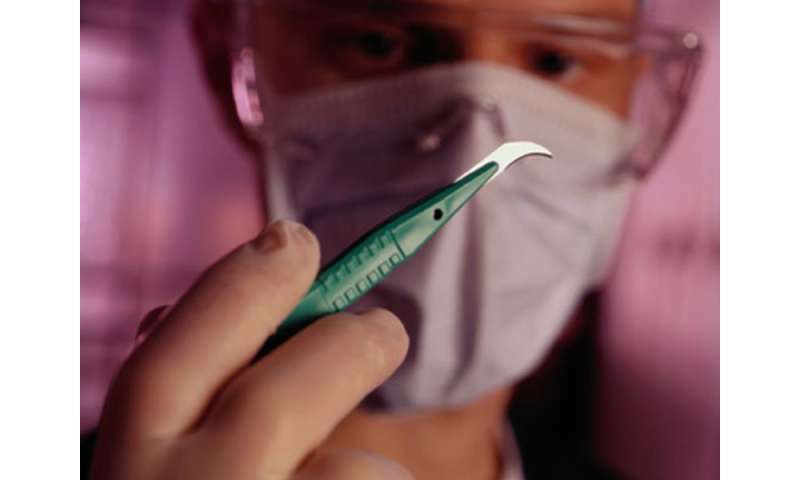 The researchers identified 87 malpractice cases involving surgical trainees during a 10-year period. Overall, 67 cases (77 percent) resulted in death or permanent disability. Sixty-one cases (70 percent) involved elective surgery and named a junior resident as a defendant (69 percent). Cases more often questioned perioperative medical knowledge, decision making errors, and injuries than intraoperative errors and injuries (61 versus 49 percent). The involvement of junior residents was mainly in lawsuits related to medical decision making (87 percent). Ten cases (12 percent) cited residents' failure to evaluate the patients, and lack of direct supervision by attending physicians was mentioned in 48 cases (55 percent). Overall, 48 percent of cases resulted in a jury verdict or settlement in favor of the plaintiff, with a $900,000 median payout. "This review of malpractice cases involving surgical residents highlights the importance of perioperative management, particularly among junior residents, and the importance of appropriate supervision by attending physicians as targets for education on litigation prevention," the authors write.